Last week EA teased Real Racing 3 would soon add Ferraris to its line up and that day has finally come. On top of a new app icon featuring a Ferrari, the update adds the FF, the 458 Italia, and the V12-powered F12berlinetta from the Italian auto manufacturer’s line up. Also new is the addition of Spain’s famous Circuit de Catalunya track to go along with a new time trial option, ability to hire Crew Members, AI improvements and further customization options. 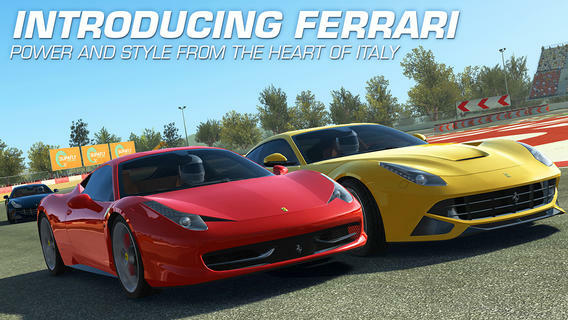 Real Racing 3’s garage is bolstered by the introduction of highly requested cars from iconic Italian manufacturer, Ferrari. Click here to download Real Racing 3–it’s free.